Mullah Baqir Majlisi the Safavid is highly revered by all Shias, wether critiques of the Iranian regimes or staunch supporters. 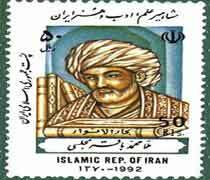 In fact, the Iranian Wilayat Al-Faqih state of Khomeini turned Baqir Majlisi into a highly revered post stamp. Majlisi – despite of non-Persian backround just like the Turkic Safavids themselves – championed Persian traditions (including Zoroastrian rooted ones) and language to the extent that he questioned the hegemonic role of Arabic as the language of creed, jurisprudence and law (to this day Shia scholars, including Arab ones are widely known for their poor Arabic compared to Sunnischolars (in Qom itself, to this very day the language of the largest Shia university “Al-Mustafa” isprimarily in Farsi. 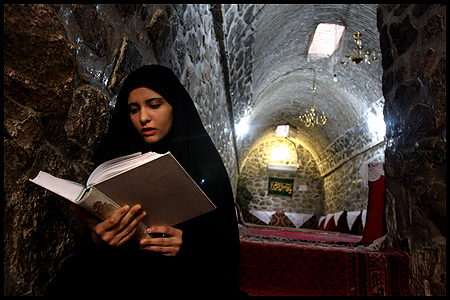 Foreign student even have to learn Farsi before entering Shia religious institutesof Iran). Majlisi composed several books on Tradition in Persian and valorized it as the language of scholasticism and thus helped to undermine the significance of the Arabic language in Shia circles. As the ideological strength of the Safavids weakened, clerics like Majlisi made greater efforts to strengthen the eroding image of the last Safavids. 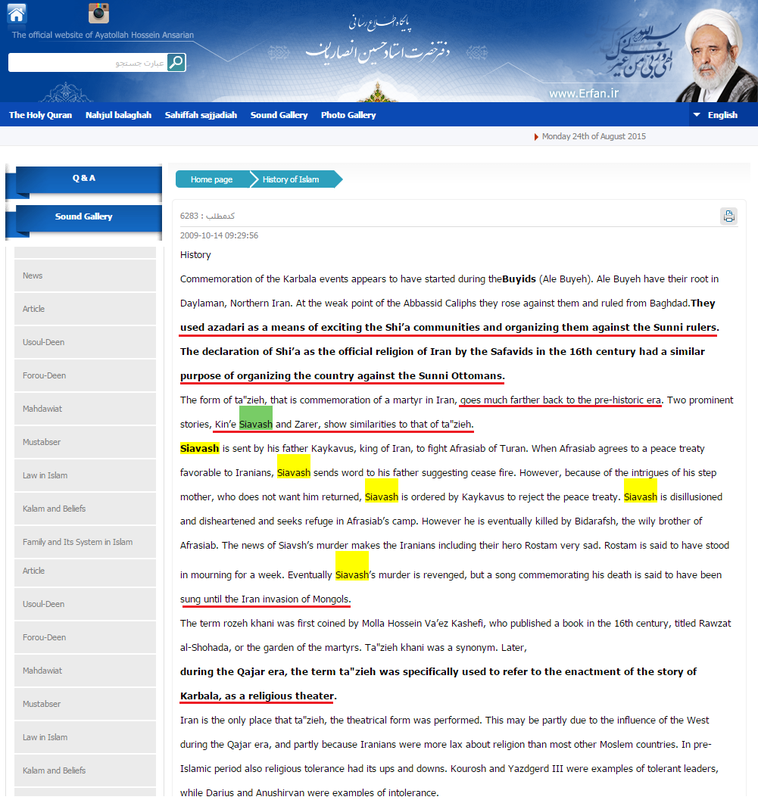 in Raj’at (The Mahdi’s Return), dedicated to Shah Suleiman, Majlisi explains in clear Persian how he came across two important traditions, which foretold the ascent of the Safavids and praised their glorious rule quite similar of how many fanatical adherents of the Wilayat Al-Faqih system of Iran believe that Ali Khamenei is the actual representative of the hidden Shia Imam. Same farce, different names and different times. This is not a 5 start hotel, this is Majlisi’s wasteful 5 star silver shrine. His mausoleum is located next to the Jamé Mosque of Isfahan (one of the oldest Sunni Mosques of Iran that was turned into a Shia “Mosque”. 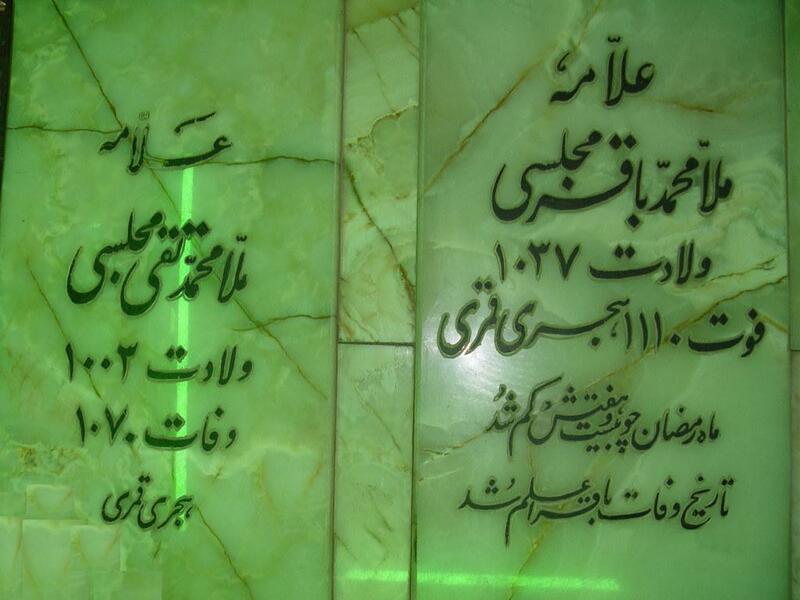 He is buried next to his father (Taqi Majlisi, also known as Majlisi the first) in a family mausoleum. 1) He was a staunch supporter of the pagan Zoroastrian rooted Nowrooz festival. He did not just believe in the permissibility of this festival (i.e. regarding it as a merely Persian tradition) but actually attributed it to the Ahl Al-Bayt themselves, who allegedly said that the Persians have preserved the blessed Nowrooz festival whereas the “evil” Arabs have abondened it! Ibn Shahr Ashob relates, that (Caliph) Mansoor requested Imam Moosa Al-Kadhim (عليه السلام) to hold a congregation for greetings on the day of Nowrooz and receive whatever is brought to him. The Imam (عليه السلام) replied: ”I have examined the reports transmitted to me from my grandfather the Prophet of Allah (صل الله عليه و آله), and I have not found any details regarding this day of celebration. This had been the practice of the Persians, while Islam has abolished it, and may Allah protect (us), from reviving things which were abrogated by Islam”. As it becomes clear, doubting the authentcity of these narrations won’t change the fact that the likes of Majlisi actively propagated Zorastrian rooted festivals such as Nowrooz (and with him hundreds of other Safavid scholars and modern day Ayatullats). 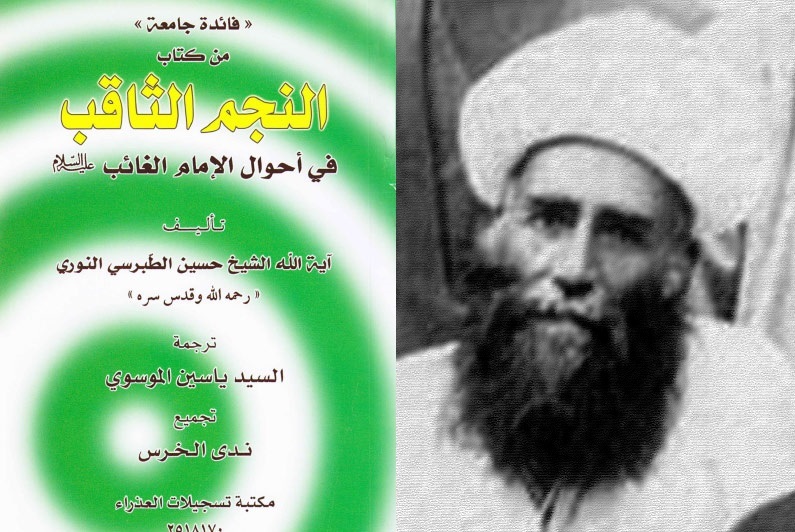 To put the final nail in the coffin, here some more evidences, irrefutable references that prove that Majlisi was not merely narrating narrations, rather he acted upon them and in fact dedicated a whole chapter of his Zad Al-Ma’ad (translated as Provisions of the Hereafter. 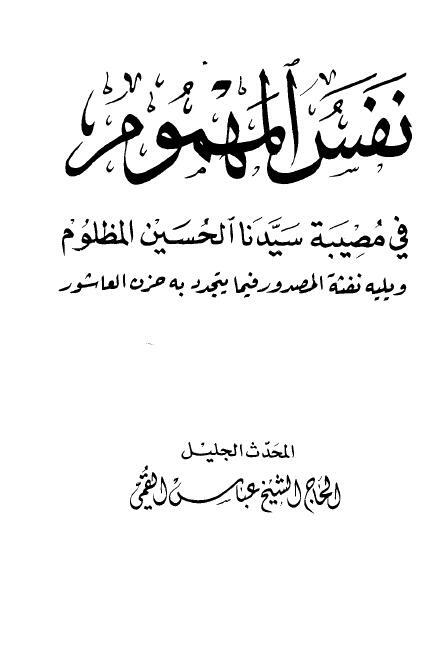 He copied that title from the works of major Sunni scholars before him such as Ibn Al-Qayyim), a book that (according to his own words) is a guidance for the Shiite in regards to the etiquettes of prayers, fasting and embracing Islamic month, such as Nowrooz! 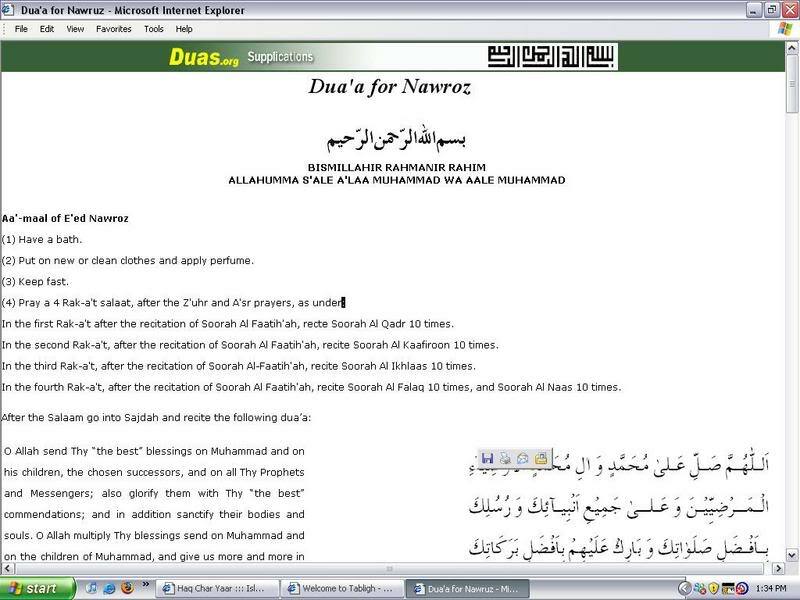 the narration then goes on stating that there is not a single day of Nowrooz except that the Ahl Al-Bayt are happy on that day and that it is the ‘Eid (!) of them (Ahl Al-Bayt) and their Shias and that the Persians preserved it and the Arabs lost and ignored it!!! Then the narration goes on advising the Shiite how to perform special acts of worship on this Majoosi ‘Eid, including a special prayer, Ghusl, putting on new clothes. Finally Majlisi states that there are special supplications that one should recite when the day of Nowrooz (new year of the Majoos) enters. This is a Sunnah of the Rafidah that is observed to this very day when Ayatullat Ali Khamenei himself, the Revolutionary leader, appears on live TV congragulating the Shiites for Nowrooz beginning with the “special” supplication that Majlisi recommended. It’s not just Majlisi though, other scholars in his era and even modern day Shia scholars have filled entire chapters of Fiqh (!) about the greatness of the day of Nowrooz, and how it is the day of Allah, an ‘Eid, where one must perform special acts of worship. They have all drunk from the Majoosi milk of Majlisi who taught them how to venerate the festival of the Majoos under the banner of Shiism. The first people to accept the recommended deeds on the day of Nowrooz were the representatives of Hawzah in Najaf , meaning personalities like Shaykh Tusi, then Ibnay Taus, Mohaqqiq Tusi, Sayyid Sharif, Allamah Bahauddin Amili, Faidh Al-Kashani, and from Majlisi to Abbas Qummi (author of Mafatih Al-Jinan) all agree on this day of celebration. All religious Shia websites and institutes in Iran actively propagated Nowrooz under the banner of Islam and the school of Ahl Al-Bayt. 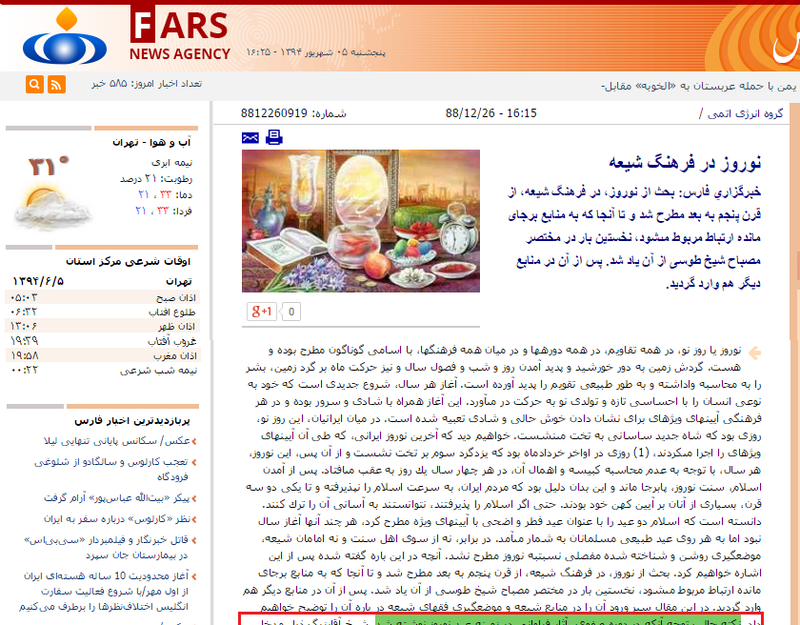 The following is a screenshot from the notorious Shiite Fars News Agency (FNA) that is affiliated with the Revolutionary Guard Corps. … a spawn of the last Persian Emperor (Kisra) who will carry Majoosi titles, emerge on Nowrooz and slaughter slaughter the Arabs. The last Kisra of Persia that was crushed by the army of Allah under the banner of Omar Ibn Al-Khattab. Yazgerd III (632-651 CE) advised his people to infiltrate the Muslims and fight them from within. After the Muslim Conquest of Persia, a long process of islamization of the Persian culture has taken place and at the same time, great dynamic influences has resulted in a rising Muslim power rather an Arab one. The tolerant, and flexible Islamic superpower on the rise has adapted to the Persian culture, where many Persian Muslims have integrated into the Islamic and Arabic culture. A small percentage of Persians adopted the first Shia principles in the early days of the Muslim Caliphates based on some of the differences and issues among the companions. Non Arabs and particularly some Persians found this a potential opportunity to have the Uniqueness that they have sought to differentiate them from Arabs. The majority of Persians integrate in the mainstream Sunni Islam and contributed heavily in the Islamic Renaissance that followed. This initial Persian integration in the Islamic empire reflected a very flexible attitude set forward by the prophet Mohammad based on tolerance and containment. Two of the closest companions and councilors to the prophet were Persians. Salman Al Farsi, was the one who gave the advice to the prophet of digging a trench around Al Madinah City during the Trench war. Salem Mawla Abu Hanifah, was another Persian that the prophet mentioned, to take the Quran from four people, one of them was Salem, and he was the Imam of Muslims in Al Madinah prior to the Prophetic immigration to it, and was routinely leading prayer ahead of some important Figures like Omar, the Caliph. Ironically, Omar bin Al Khattab while dying from wounds inflicted by another Persian man, he said if Salem was still alive he would have placed him as the following Caliph after his death. Over the following decades, the complete integration of Persians in mainstream Islam had suffered significant breaches due to growing number of Shia followers, and at the same time, the Shia sect started to differentiate itself more and more from the mainstream. The Shia sect. adopted a Persian anti-Arab spirit. Although this sect. started out motivated by political division but the lines between politics and religion have blurred and a new version of Persian Islam has come out. The Shia sect. has evolved in a group of emotionally motivated people with historical grudges against many mainstream Muslims. The historically based grudges use a major political incident which is the murder of the grandson of the prophet, Al Hussain Bin Ali, to point fingers and victimize the sect followers, and charge them to revenge for the death of Hussain. The heretics amongst the Persian emerged in the early periods of Islam and not just with the arrival of the Safavids. Muslim historians take us back to 644 A.D when three people two of which were of Persian origin were spotted whispering in a side street of Madinah, the capital city of the Islamic Caliphate, remembering the days of Persian Empire and how Muslims completely turned it down as their teacher and Prophet (peace be upon him) promised them and the arrogant Persian Kisra. They started throwing hate sentiment towards one of the greatest Caliphs of Islam and a companion of the prophet Omar bin al-Khattab. Next day, one of these three was Pirooz (Firooz) Abu Lu’lu’ah al-Majoosi (according to some accounts he was a Christians. What is important is that he was anything but a Muslim) who stabbed the Caliph with a poisoned dagger while leading Fajr prayer ten days after coming back from Hajj (Pilgrimage to Mecca). Till now, a large Zorosstrian looking temple stands out that has been built on an imaginary grave of Abu Lu’Lu’ah in the city of Kashan in Iran where annually the killing of ‘Omar is celebrated throughout the Shia history of Iran. 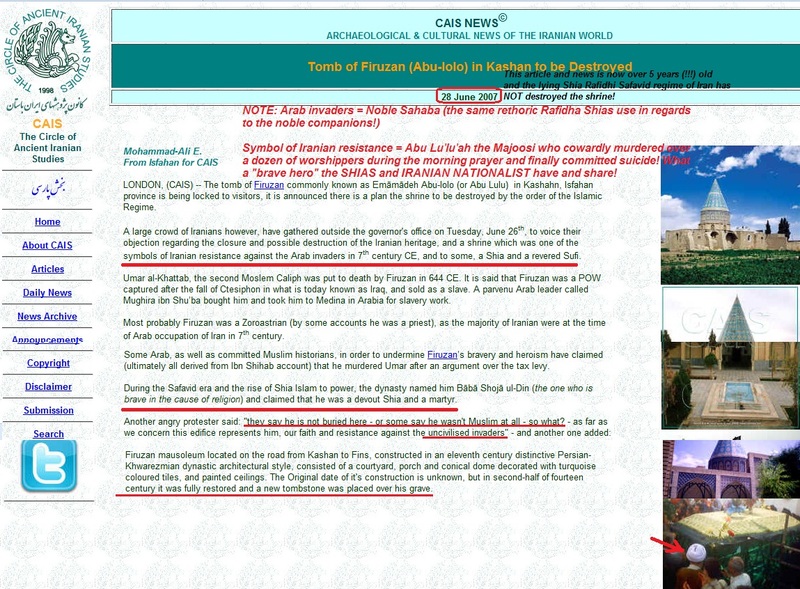 A perversion they call “Omar Koshan” (the killing of ‘Omar). Shi’ism is in fact an ethnic cult that uses sacred Islamic figures close to the prophet Mohammad to seize the faith , neutralize its power, and taint the faith with a Sassanian-Zoroastrian spirit. Persian Shi’ite heretics had a major roles in the formation of various Batini (esoterical) heretical cults, in particularly Shia ones. The Khurramites for example were a Persian Zoroastrian cult in the Abbasid era (way before the Safavids) who openly mixed Shia and Zoroastrian foughts, creating a new identity and fighting the Muslim caliphate. The same Persian heretics were responsible for other un-islamic Shia beliefs such as the belief in a demi-God saviour (like the ancient Persian kings) who is a descendant of Yazgerd III. 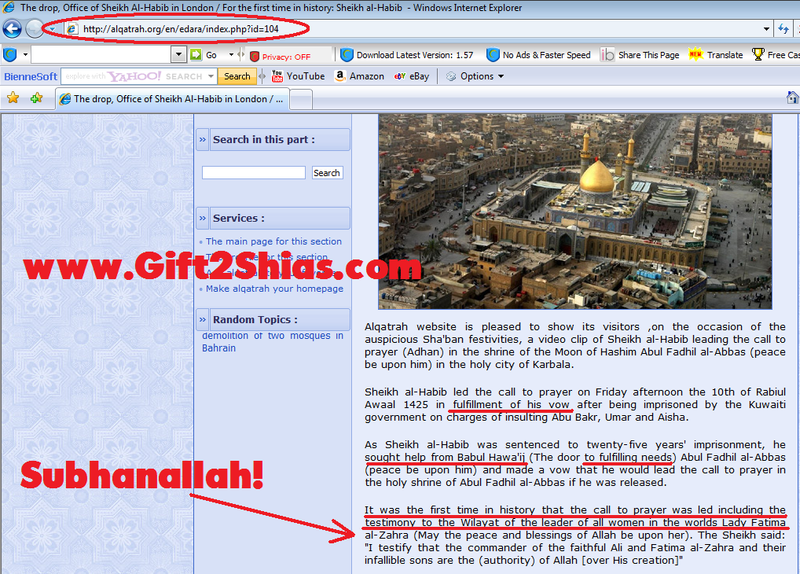 In the recent years we have witnessed how religious (Iranian backed) Shia websites openly confess to this reality i.e. they don’t even make an attempt to hide these beliefs anymore (note how they mention how Zoroastrians belief that this Mahdi will follow their ANCESTORS i.e. Majoosi religion. 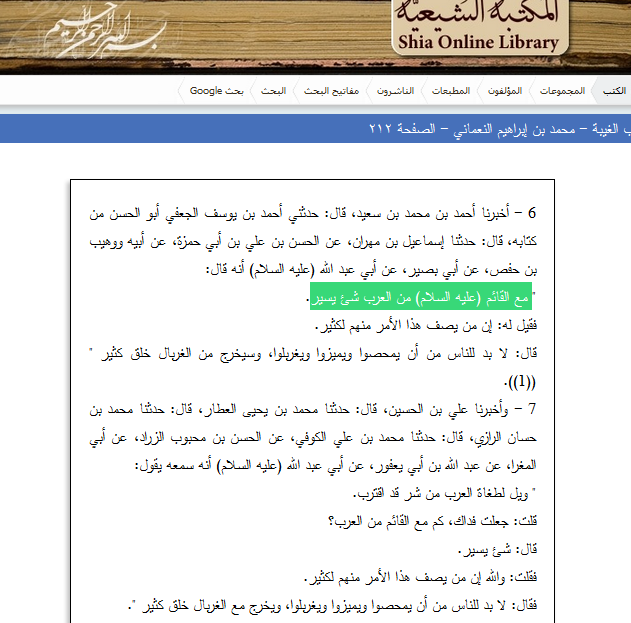 And note how this Shia website wails over the fact that the Muslim army defeated the Persian army at Qadisiyyah and how Yazdgerd made Du’a (!) that one of his grandsons (Shia Mahdi) will take revenge on the Arabs. 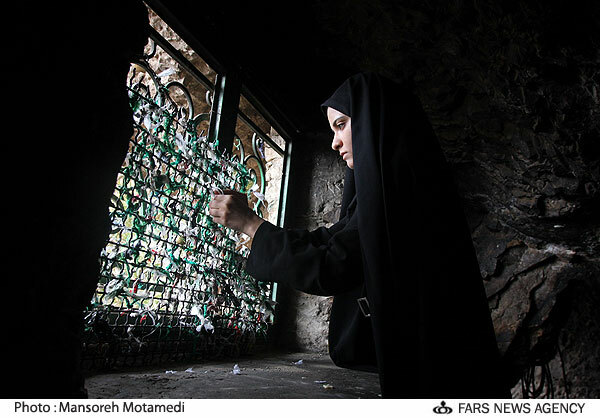 Her name was memorialized by the name of a nearby mountain and the Shrine of Bibi Shahrbanu. Mountains were considered sacred in Zoroastrianism. Same thing happened in Christendom, old pagan sites getting rededicated to some Christian saint. The figure of Shahrbanu isutilized in nationalist-religious discourse in modern Iran to emphasize the Iranian nature of Shi’ism and the indigenization of Shiism as an intrinsically Persian religion. Often referred to as Shah-e zanan (“the King of Women”), Shahrbanu is remembered by Iranian Shi’as most tellingly in ta’ziyeh passion plays during Ashura , where her tumultuous life story is recited. 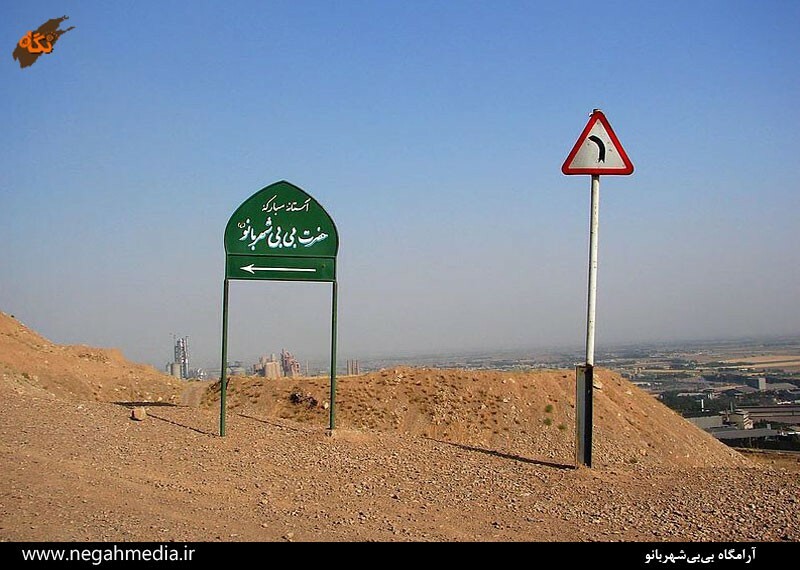 Sign put up by the Shia authorities directing the “believers” to the holy (!) 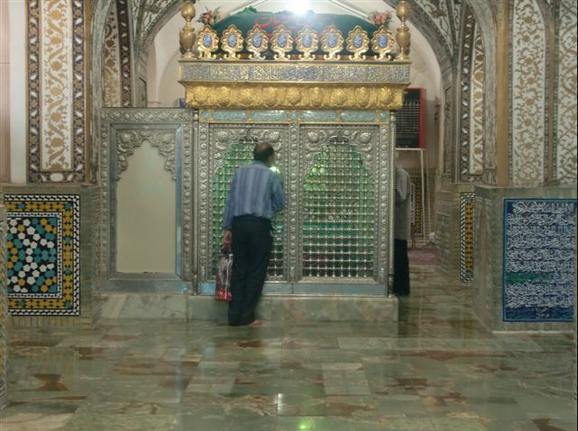 shrine of “Hadhrat Bibi Shahrbanu”! 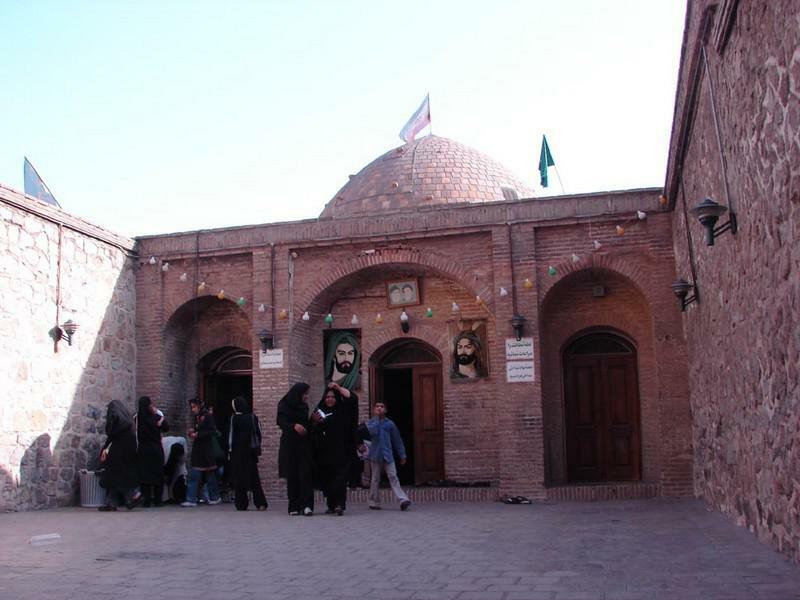 Zoroastrian Shia saint Bibi Shahrbanu’s Shrine in Ray, south of Tehran. 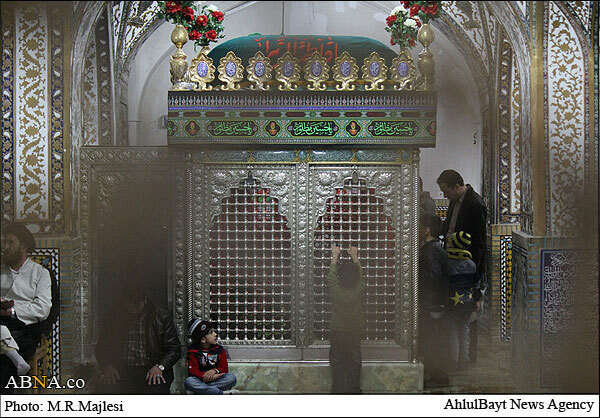 Her shrines occupies a revered place in Iranian Shia history. Indeed, many claim that this legend is directly inspired from the story of Hayatbanu, as the parallels between the Zoroastrian Hayatbanu and the Muslim Shahrbanu are eerily prominent. 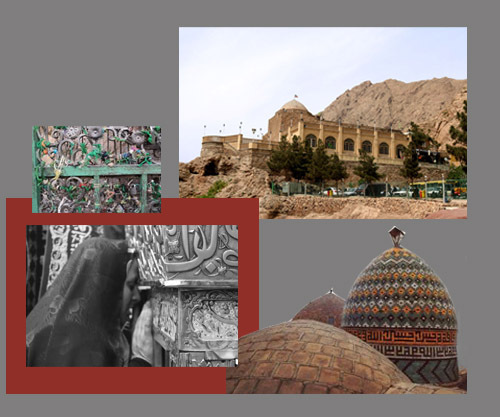 In the Safavid era the complex was extended in order to attract more Shia pilgrims. 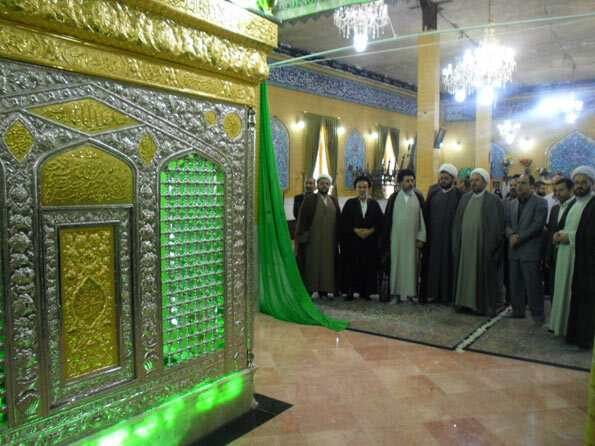 The descendants of the Safavids, the Shia clergy have also carefuly renovated the entire complex and set up entire pilgrimage programmes for Shiites inside and outside Iran. 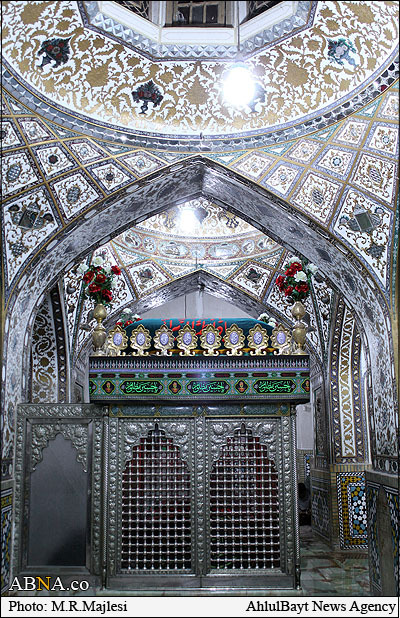 In the inner sanctuary is a fifteenth-century “tomb,” purporting to contain the princess’s body, in the manner of an ordinary Imam Zadeh (so called descandents of Shia infallibles. 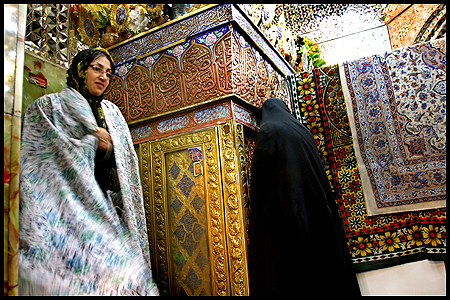 thousands of their shrines can be found all over Iran). in the above picture you see the part of the shrine that reserved for the men. 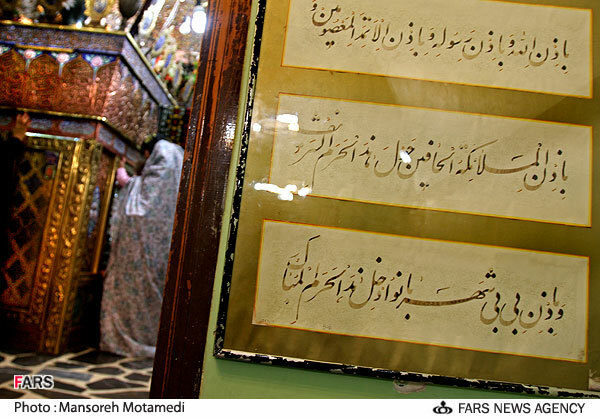 Next to the”shrine visit greeting letter” (so called Ziyarat nameh has been put. 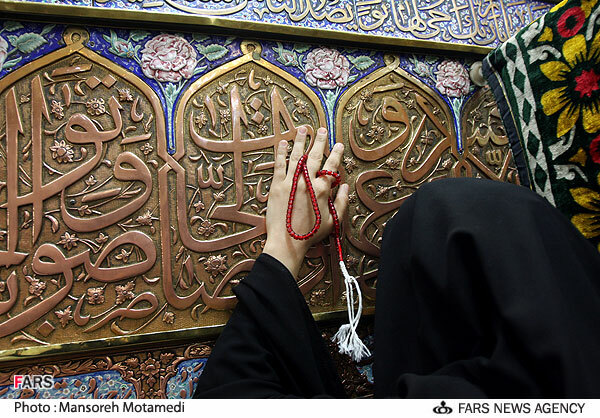 Utterly fabricated prayers for each infallible Imam and thousands of their descendants all over Iran). Its content couldn’t be more heretical. “Believers” are supposed to start off by asking permission from God then his Messenger then the so called infallible Imams then the Angels and finally Bibi Shahrbanu herself (for their needs …). 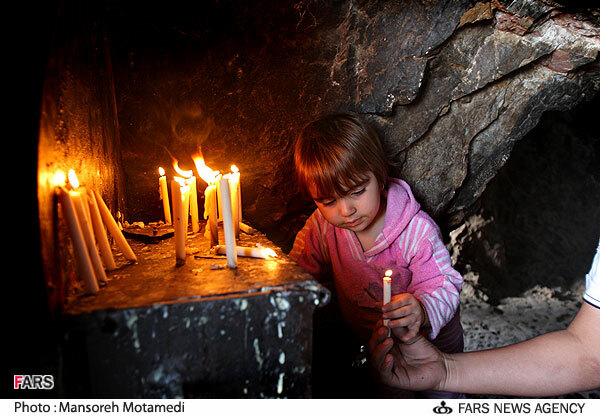 Lighting candles in temples in respect for saints is known to all pagan religions, including Shiism. 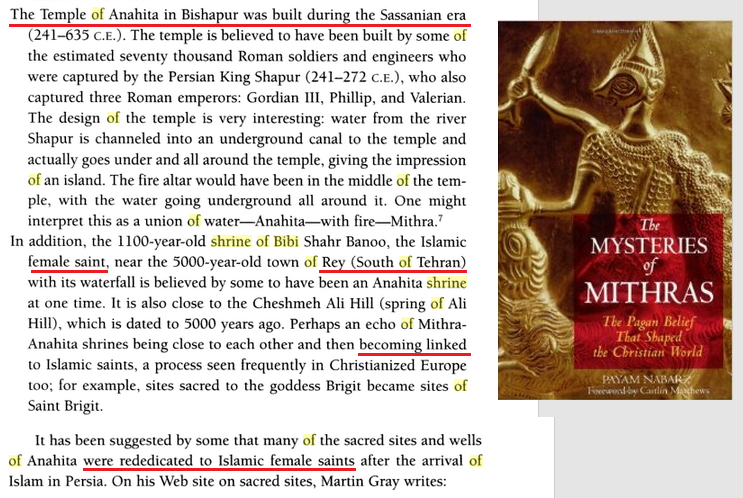 To even further complicate the connection between the Matriarch of Muslim Persia and pre-Islamic Iran, some scholars point out that the shrine of Shahrbanu is in fact constructed upon the remnants of the Temple of Anahita (who held the title Banu meaning “The Lady”), the ancient Iranian goddess of water, fertility, and healing. 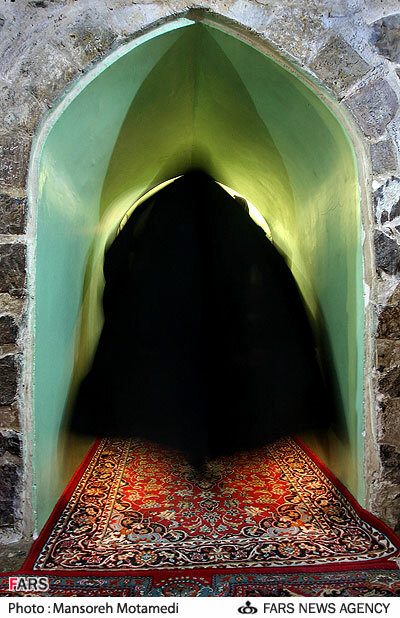 For example, Babayan, draws a connection between Shahrbanu’s continual virginity – casting her as a pure and incorruptible figure – and Anahita’s significance in both ancient Iranian religions and in Zoroastrianism as the source of water, purity, and life. This association can easily be seen in modern-day Iran where, according to Mohammad Ali Amir-Moezzi’s The Spirituality of Shi’i Islam: Belief and Practices, many Iranian women desiring children go on a pilgrimage to Shahrbanu’s shrine in order to be blessed with fertility. Thus, these stories of true Iranian-ness are quite literally built upon each other from antiquity into the present. 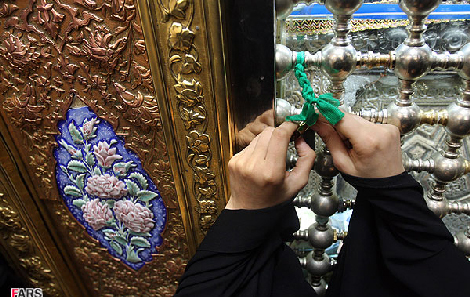 Dakhil bastan, ‘binding the request for help’ is a very common pagan Shia practice and is performed to enhance the calling for the saint’s mediation. Their heresies have no limit (it wouldn’t be so bad if they wouldn’t have attributed all this heresies in the name of the Prophet’s, peace be upon him, Household). Here a video made by Shias themselves proudly presenting how they venerate Yazgerd’s daughter and make pilgrimages to her! 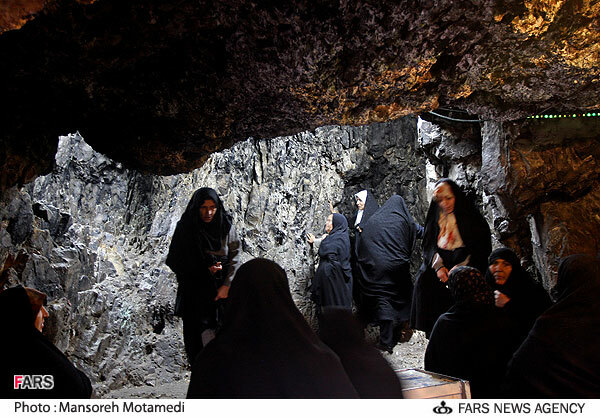 After the Safavids (and current day Iranian regime’s role) in the veneration of a Zoroastrian king’s daughters’ tomb let us examine how Majlisi himself paved the way for the veneration of Yazgerd’s daughter and the idead that the Shia Mahdi is in fact the descendant of Yazgerd who will take revenge on all Arabs by slaughtering them, starting off with the tribe of Quraysh whom the Shia clergies deceitfully claim to follow. 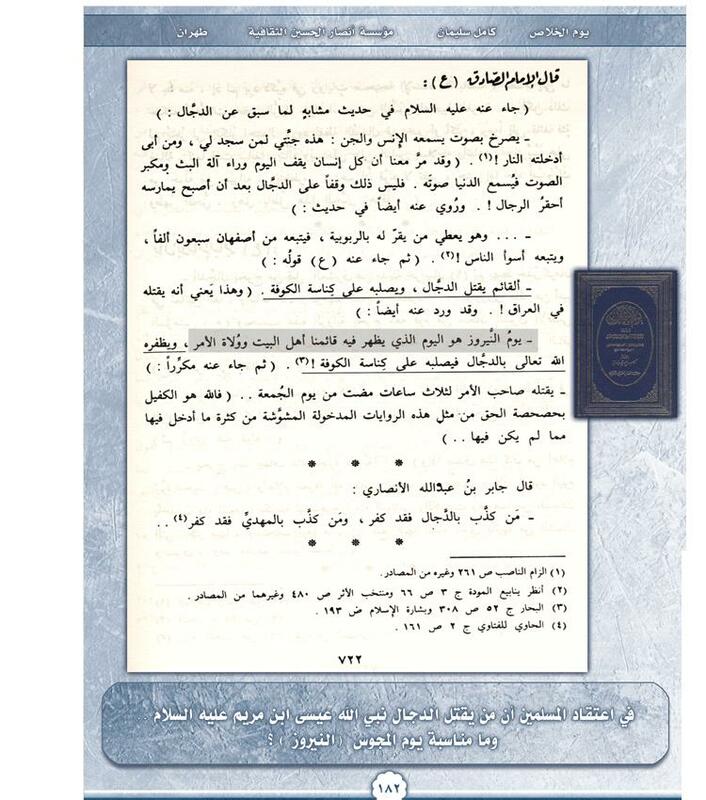 Majlisi attributes fabrications by the defeated Majoos to the Ahl Al-Bayt where Yazdgerd III allegedly swore that he will take revenge against Omar Ibn Al-Khattab and the Muslims, with the apparence of one of his descendants whom according to their narrations is the 12th hidden saviour Imam (who according to the biggest Shia authorities has more than 8 Majoosi/Zoroastrian titles, including Bahman, a pagan Persian name). Now if somebody might argue that the above narration might be weak/unreliable, then it should be noted that the biggest Shia authorities who ever walked the earth openly taught such beliefs and (based on the narrations of Majlisi) made a compilation of the titles that the 12th hidden Shia Imam will carry and among those titles and weird names which number 182 (among them Abu Bakr and ‘Friday’, The Time, Firooz! ), there are a number of ancient Persian-Zoroastrian titles, including pagan rooted ones and KISRA (the title of Yazgerd and all Sassanian Majoosi kings). BOOK TITLE: An-Najm Al-Thāqib fī Aḥwāl Al-Imām Al-Ḥujja Al-Ghāʼib (translated to English as the Shooting star). 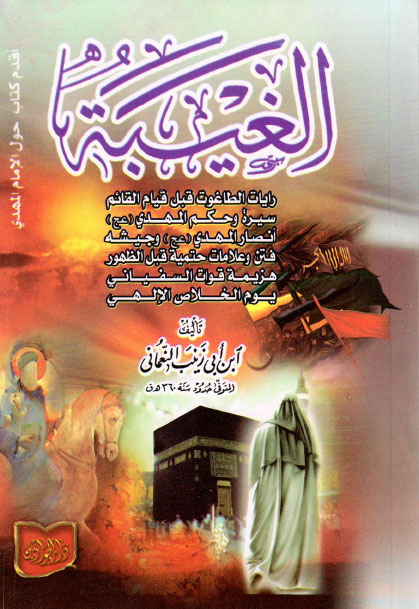 A comprehensive book regarding the twelfth Imam of Twelver Shias by Ayatullat Mirza Hussein Noori Tabrasi (1838 – 1902). This Shaytan was born in Noor, northern Iran, Tabaristan (Mazandaran) and wrote more than one book in defense of the classical Shia belief on distortion of Qur’an! His most famous book in this regards is: Faṣl Al-Khitāb fī Taḥrīf Kitāb Rab Al-Arbāb. Meaneing “final argument in the distortion of the book of God of gods”. No sect besides the Rafidah Twelver sect has ever produced such heretical kafirs who wrote entire books disproving the authenticity of the Qur’an. The Shia world rewarded him by burying near the shrine of Ali Ibn Abi Talib, at the Wadi Al-Salam Najaf graveyard and showering him with blessings, prayers and all sorts of praises whenever they mention him in their speeches or books! Another title that was given to him by the Majoos, according to the Shiite author! 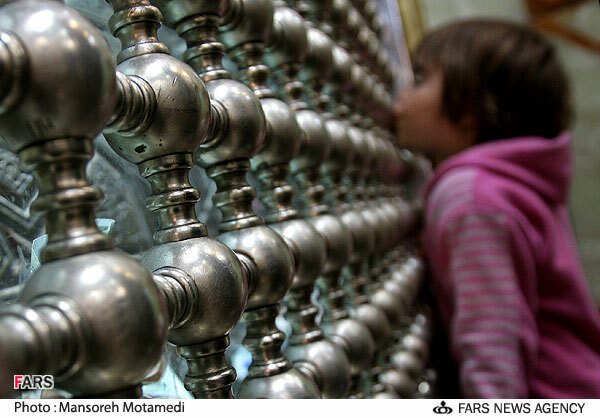 Chapter: The day of Nowrooz! So the Sahaba, their students and their students (i.e. Salaf) have missed to “preserve’ the holy (!) day of Nowrooz, but the Persians managed to preserve this so called holy day. This is how the Rafidah portray the Ahl Al-Bayt such as Imam Al-Sadiq who according to the narration is more concerned about Majoosi Nowrooz than any Persian could ever pretend to be. Nowrooz, a holiday that was never sanctified by Islam, this is Lok how much Sassanian-Pre-Islamic-Persian Majoosi customs have infiltrated Shiism, then they wonder why they are being called Majoos. عن الصادق (عليه السلام): ما بقي بيننا وبين العرب إلا الذبح وأومى بيده إلى حلقه. 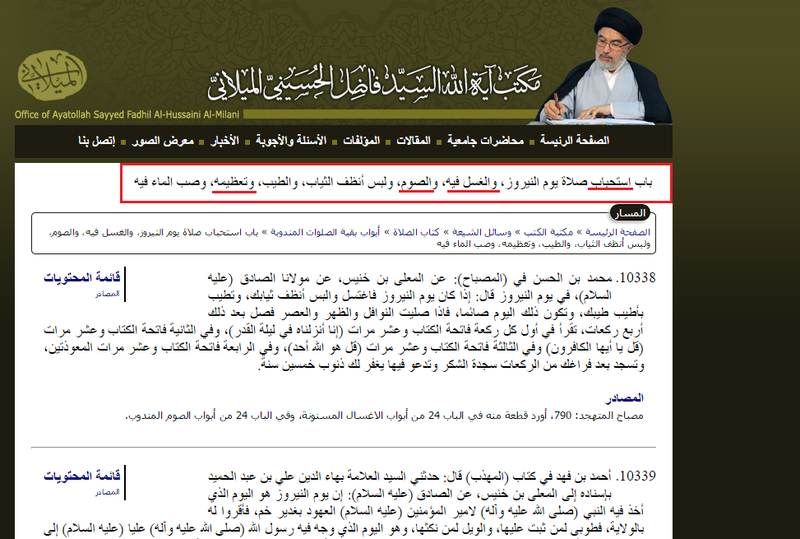 Notice how the narration puts fear and HATE into the hearts of the Shias in regards to the Arabs. Imam Al-Sadiq’s name (an Arab Muslim himself!) is just being misused by these devils who have fabricated these narrations to give their Anti-Arab bigotry a religious flavour. “Abu Ja’far (Imam Al-Baqir of the Ahl Al-Bayt, a great scholar from the Salaf whom they ascribed these lies to) (AS) said: “The Qa’im (Mahdi) will arise with a new matter and a new book and a new a new law and he will deal severely with the Arabs, there will be nothing save killing and he will not fear the blame of the blamer”. 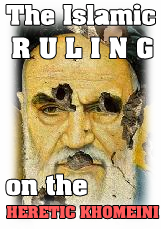 The Rafidi Mahdi will have a special thirst for the blood of the Quraysh! Notice how the Quraysh are being mentioned seperately! Prophet Mohammad’s tribe, the most noble Arab tribe to this very day! This is their sadistic “saviour”! Ironically Shias (like Hassan Nasrallat) are quick to jump and attack not just extremist groups but also countries such as Saudi Arabia for implementing the capital punishment of beheading (for severe crime) yet their Majoosi saviour is allegedly going to behead Qurayshi Arabs in Zombie-Style, resurrecting them from the dead! Now the question may arise: How on earth could the Rafidha fool and lure a few (Shias are to this very day a TINY minority not just among the Arabs worldwide but even amongst the non-Arabs and in fact even among MANY Persians such as the Persians population of Afghanistan and Tajikistan who are overwhelmingly Sunni) Arabs into Shiism? Well, the answer lies in some additional fabricated narrations that are somehow the only hope for the Arab Shias (obviously only a weak minded person will miss the bigger picture, i.e. that the default scenario is that ALL Arabs will be slaughtered by the Masonic-Sassanian Rafidi saviour. Imam Mohammad al-Baqir said that all 313 companions of the Qaim are the sons of Persians (Ajams) . 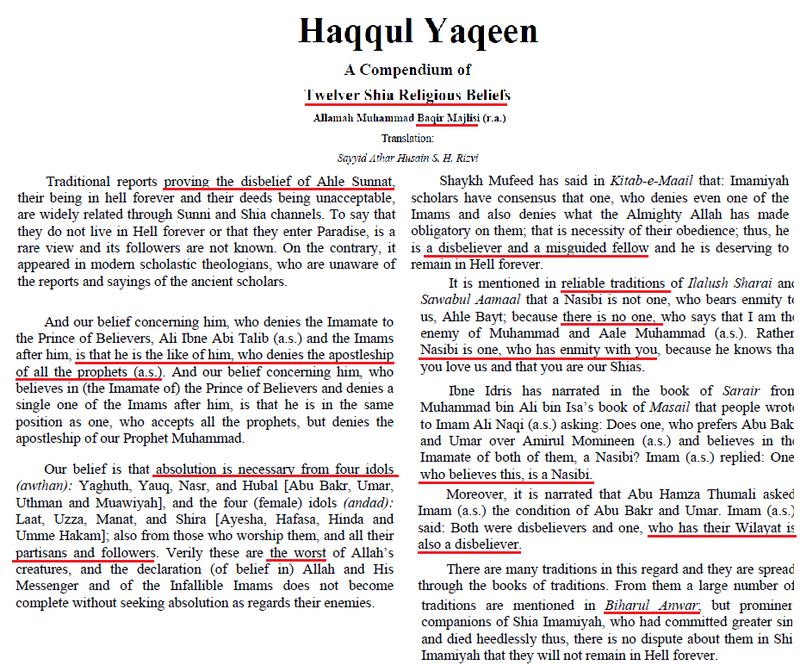 As you can see, the names of the books (or in Majlisi’s case the chapterin his Bihar) are all identical, what is important to understand is that the the narrations in these books can’t be dismissed on the grounds of alleged weaknesss, as Shia scholars themselves have used them in their creed books to explain the characteristic of the Shia 12th Imam. 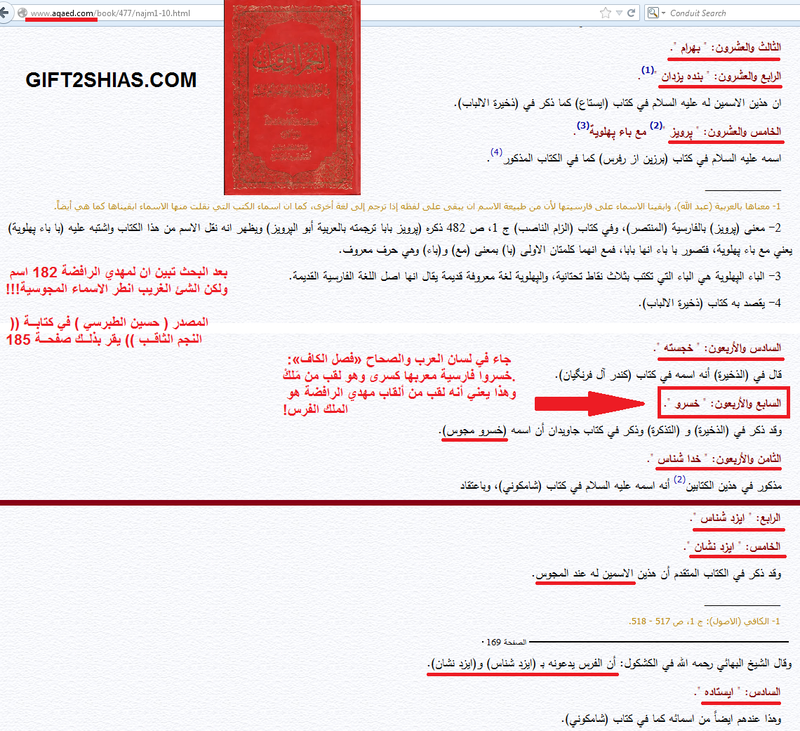 Of course this is NOT what the Rafidi hadith says! That’s just pathetic attempt to water down the actual text of the narration. The narration itself makes no exception whatsoever (especially if we take other ahadith into consideration which all speak about an onslaught on the entire Arabs race), it simply states what similar hadith state, the Arab will be slaughtered (by a descendant of the last Persian Majoosi Kisra). The narration states that Ibn Kisra (Rafidi Mahdi) will slaughter SEVENTY Arab tribes. This spawn of Yazgerd the third (who is anything but the true Mahdi) is nothing but the manfistation of the previously mentioned story of Yazgerd’s dream. 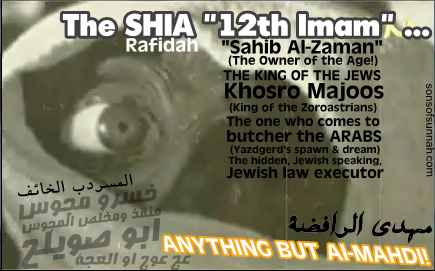 The 12th Imam that the likes of Majlisi and co. created resembles nothing but the Anti-Christ, he is the hope of the defeated Jews of Madinah, the defeated Zoroastrian Sassanian Majoos and other defeated enemies of the Ummah to destroy Islam from within, to take revenge from the Sahabah/Muslims and the Ummah of Mohammad, peace be upon him. 3) Majlisi propagated the celebration of Amir Al-Mu’mineen Omar Ibn Al-Khattab’s (may Allah be pleased with him) demise and the veneration of the suicide, Abu Lu’lu’a Al-Majoosi. 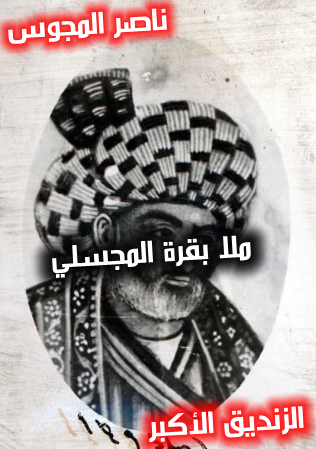 This Majoosi fetish which is knowns as “Omar Koshan (or Koshun) in Farsi is based on deeply rooted Majoosi grudge and racism towards Arabs in general and Omar Al-Faruq in particular, a ritual that unites him and his likes with Persian extreme nationalists to this very day. علامه مجلسی رحمة الله علیه در این رابطه می فرمایند: و المشهور بین الشیعة فی الأمصار و الأقطار فی زماننا هذا هو أنه الیوم التاسع من ربیع الأول، و هو أحد الاعیاد. یعنی بین شیعیان در تمامی نقاط و نواحی در زمان ما مشهور است که به درک واصل شدن او در روز نهم ربیع الاول می باشد. و آن روز یکی از اعیاد است. 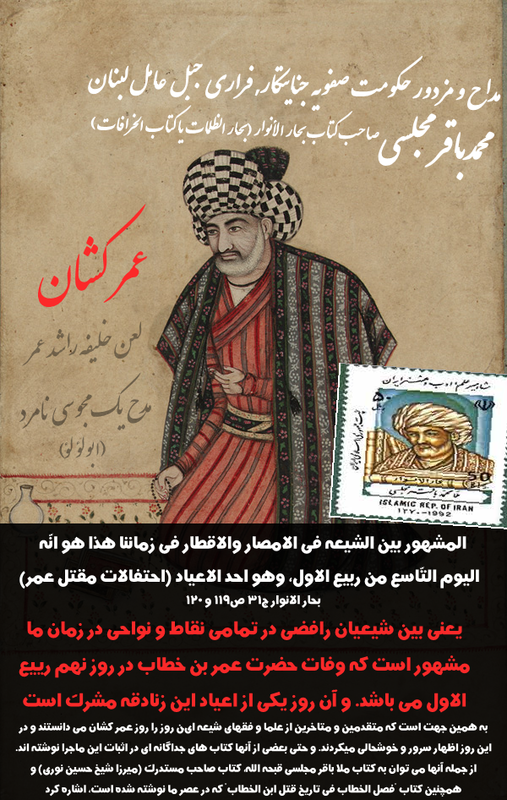 در ادامه ایشان در رابطه با شبهه ای که توسط برخی گفته می شود که روز مرگ عمر 28 ذی الحجة بوده است میفرمایند: اعتبار تلك الروايات مع الشهرة بين أكثر الشيعة سلفا وخلفا لا يقصر عما ذكرهالمؤرخون من المخالفين، ويحتمل أن يكونوا غيروا هذا اليوم ليشتبه الامر على الشيعةفلا يتخذوه يوم عيد وسرور. 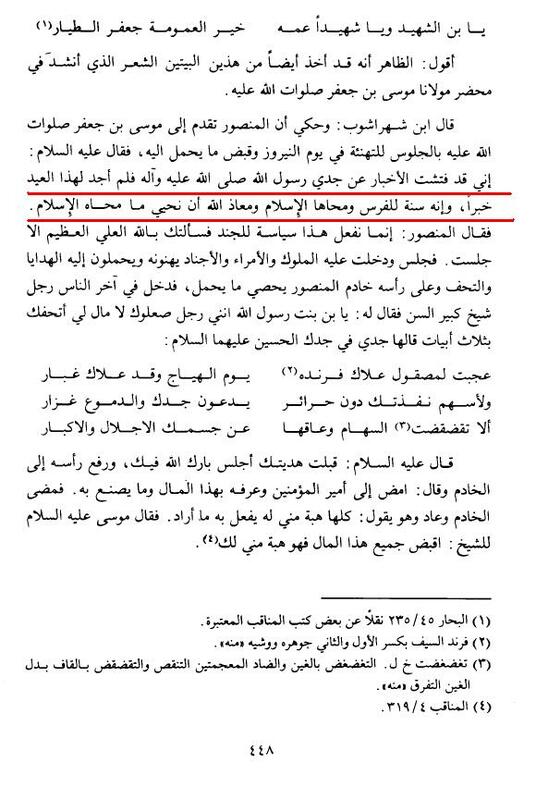 Al-Majlisi says that it (celebrating Omar’s death), on the 9th of the month of Rabi’ Al-Awwal, is a well known fact and practice among the Shias throughout history, it is considered an ‘Id! 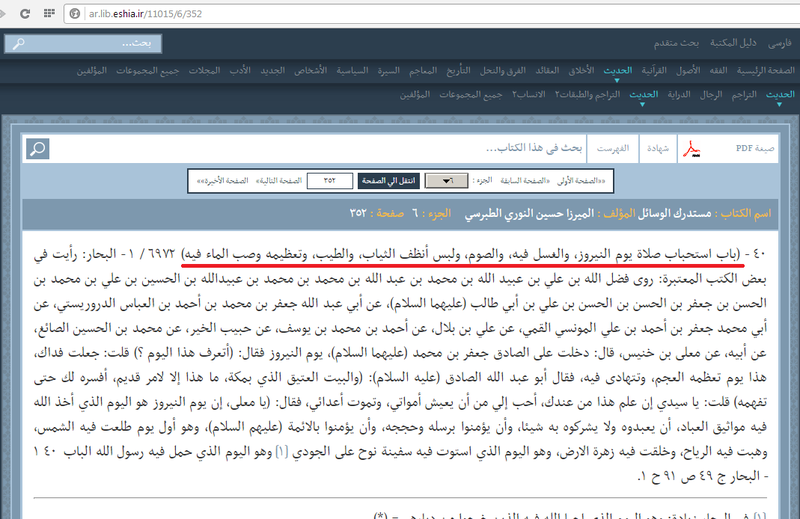 Al-Majlisi tries his utmost to disprove those who say that Amir Al-Mu’mineen Omar (may Allah be pleased with him) actually died on the 28th of Dhu Al-Hijjah, he says that Sunnis have probably changed Omar’s date of death to confuse the Shias and by this prevent them from celebrating Omar’s death (of course he provides no evidence whatsoever). Here a detailed article about this Majoosi fetish with more evidences and Fatawas from their top Ayatullats. 4) Majlisi actively supported and revived practices that the Prophet (peace be upon him) came to abolish such as wailing (not mere crying) and self-flagellation for the deceased. Public mourning, wailing and self-flagellation for Hussein ibn Ali was strongly advocated by the Safavid rulers with the help of their palace scholars like Mullah Baqir Majlisi. Excessive mourning (and wearing black) were unknown to the early Muslim community of the Prophet (peace be upon him), in fact even the Pre-Islamic (Jahili) polytheistic Arabs were not known for it, except for their womenfolk (which makes the likes of Majlisi followers of Arab Jahili women not followers of the Ahl Al-Bayt. However, mourning processions, the veneration of kings and eulogies for them were all known in pre-Islamic Persia and hence revived by the Safavids. The tragedy of Siavash and its aftermath is narrated in several Medieval Persian texts. 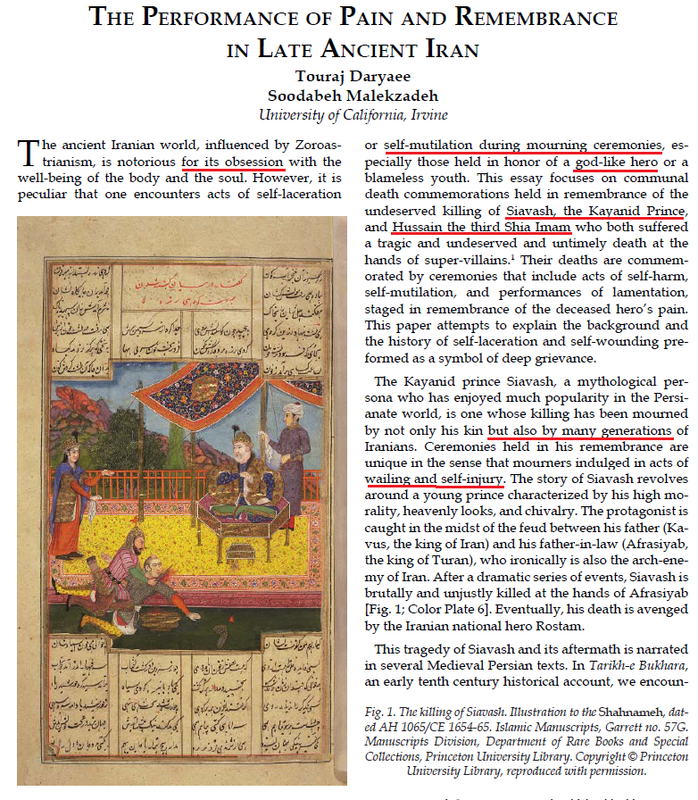 In Tarikh-e Bukhara,an early tenth century historical account, we encounter a detailed depiction of an early Iranian mourning ceremony, where the author records the communal custom of remembering the untimely death of the young innocent mythical hero, Siavash. According to the text “the people of Bukhara [ancient Persian city in current day Uzbekistan) perform/have amazing hymns/songs pertaining to the killing of Siavash and minstrels call these hymns/songs, kin-e Siavash(Avenging Siavash). Al-Hussein Ibn Ali is a replacement of Siavash, the Majoos have changed the names but have preserved their pagan rituals all in the name of Islam in order to distort the image of Islam and to destroy it from within with Majoosi elements. The innovated mourning procession for Al-Hussein Ibn Ali and the the tradition of self-laceration was promoted by the Safavids and is practiced to this very day all around the (bloody) Shia world, thanks to heretical innovators like Mullah Baqir Majlisi who misused the love and passion the Shiites have for the blessed Household of the Prophet (peace be upon him) to keep them busy with rituals that the Ahl Al-Bayt would have never sanctioned. On the right: A typical Persian depiction of the battle of Karbala. Left: A typical Persian depiction of the martyrdom and last battle of Siavash. Siavash is a prince in the Shahnameh, a legendary Persian prince from the earliest days of the Persian Empire. He was a son of Kay Kavoos, then Shah of Iran, and due to the treason of his stepmother, Soodabeh (with whom he refused to have a relation and betray his father), exiled himself to Turan where he was killed innocently by order of The Turanian king Afrasiab. He was later avenged by his son Kai Khosrau. He is a symbol of innocence in Persian Literature. The Buyid extreme Shiites, later on the extremist Safavid Shiites propagated Anti-Islamic, self-flagellation and mourning rituals in the name of the Household of the Prophet, in particular Al-Hussein Ibn Ali, in Persia, effectivly reviving Pre-Islamic Majoosi myths and wailing/self-flagellation ceremonies and rituals after Islam had eridicated it in [Sunni] Persia before the Safavids. 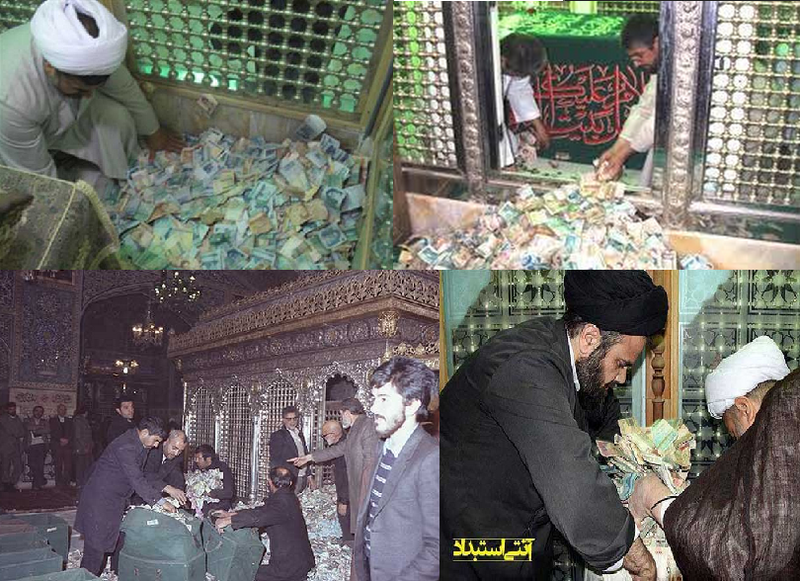 … but also the tombs of hundreds and thousands of “Imamzadahs” (descendants of the Imams) which stand to this very day in Iran and are an essential source of income and propagation of faith for Shiite clergy. The Ahl Al-Bayt never sanctified the waste of money and resources on golden tombs, shrines, in fact Sunni and Shia hadith prove that the Ahl Al-Bayt insisted to have the most simple graves possible, according to the Sunnah of their grandfather, the Messenger of Allah (peace be upon him). 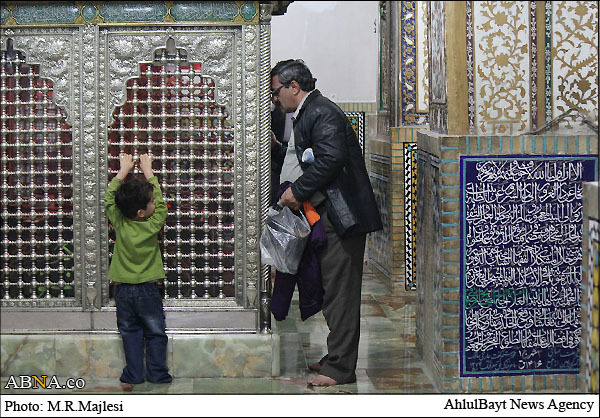 Shrine of Muhammad Baqir Majlisi and his father (Taqi). A waste of gold and silver. That’s not a give star hotel, that’s a “grave’ to the Shias! There is a not great need to comment his saying. Simply in his view narrations about ommision and change in Quran are just reality but numerous, due to the fallible Sahabah who compiled it. 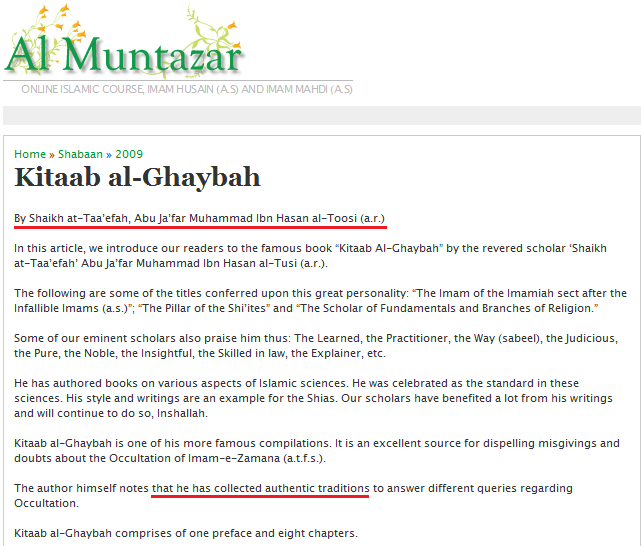 Yet it is very common to see most Shia laymen and even many of their scholars claiming that the accusation of Tahrif Al-Qur’an (believe in the distortion of the Qur’an) is a “Wahhabi” myth, a lie invented to tarnish the image of the “school of Ahl Al-Bayt”. The reality is that many of the scholars, in fact the top ones who ever walked the earth openly believed in Tahrif and propagated this belief, including Mullah Baqir Al-Majlisi, the Safavid palace scholar and proud of the “Madhab of Ahl Al-Bayt”. The quote above is not some single incident, he has a number of clear-cut admissions that you can study >here<. 7) He supported and propagated the Safavid Bid’ah of including Ali into the Adhan. As stated in the beginning of the article, Muhammad Baqir Majlisi devoted himself the eradication of Sunnism inIran, he was a court scholar of the drunkard and brutal Safavids who misused Shiism to oppose (the Sunni) Ottomans and establish their own empire. 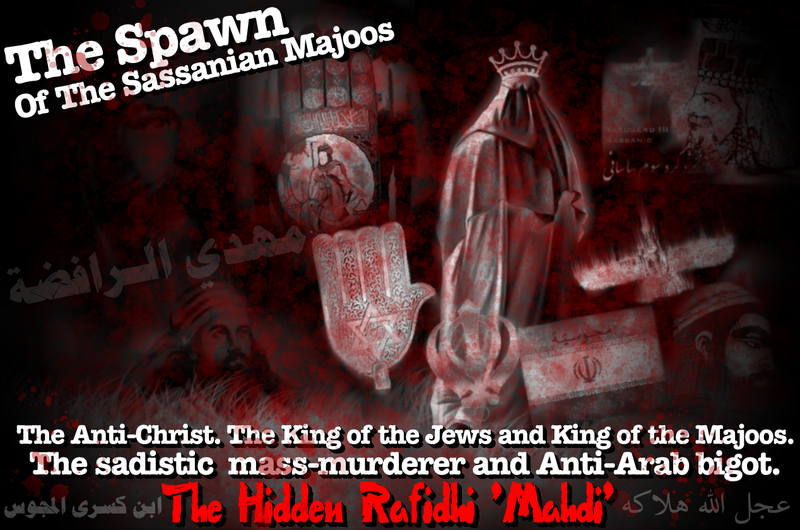 The role of Majlisi was to spread Shia beliefs in a land that barely had any Shias (i.e. Pre-Safavid Sunni Persia). The Safavids crimes of mass executions against many Persian Sunnis who rejected to convert from Sunnism to Shiism are well recorded and can be studied in any decent book about the Safavids. 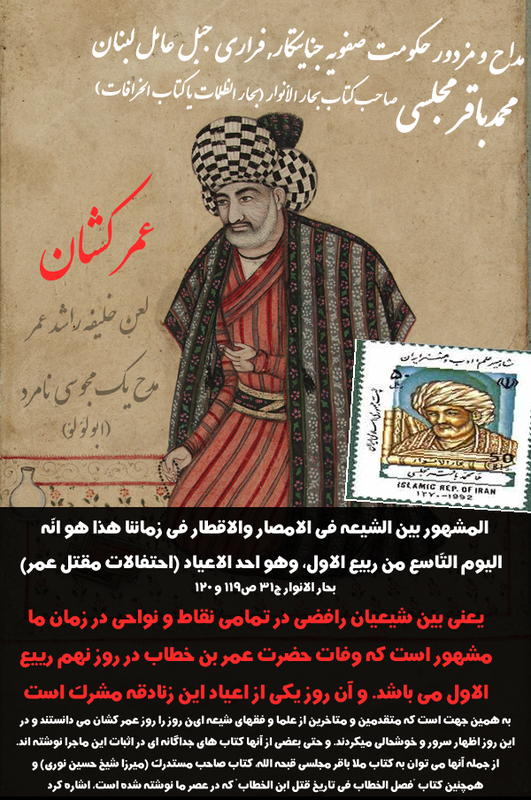 The one who fed the barbaric and savage (mostly Turkic Qizilbash) soldiers of the Safavids were the likes of Muhammad Baqir Majlisi who – unlike most Shias before the Safavid era – completely abondened Taqiyyah and openly displayed Shia beliefs which are based on the opposition and slandering and cursing of the absolute majority of the Prophet’s compaions who of course were highly respected during his time. 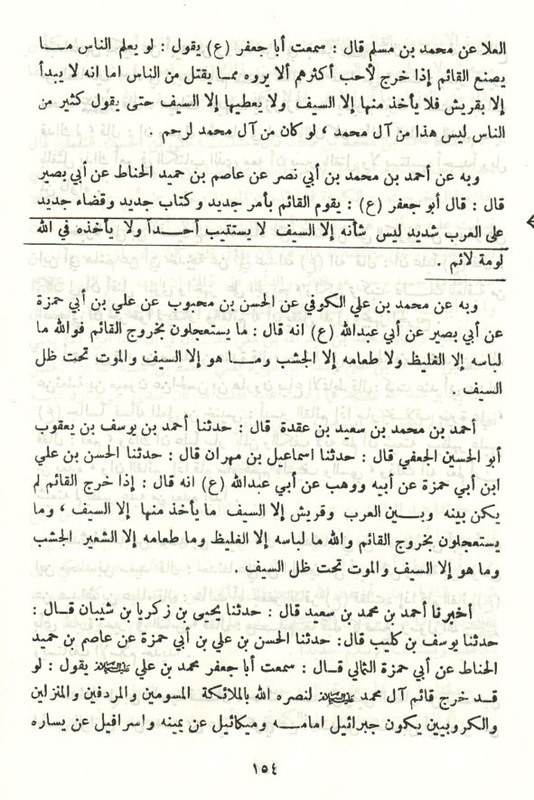 The kafir Majlisi mastered the cursing, slandering and insulting of the Sahabah to an extent that he actually explained in depth how, when and how many times one has to curse the Sahabah. In fact vol. 29, 30 and 31 of his 110 volume “Bihar Al-Anwar” (Bihar Al-Dhulamaat wa Al-Khurafat) are solely dedicated to the cursing of the Sahabah. This entry was posted in Majoosi influence on Shi'ism, The Safavids. Bookmark the permalink.